As a community, Dunedin is proud to be smart, creative and innovative - especially when it comes to food and drink. 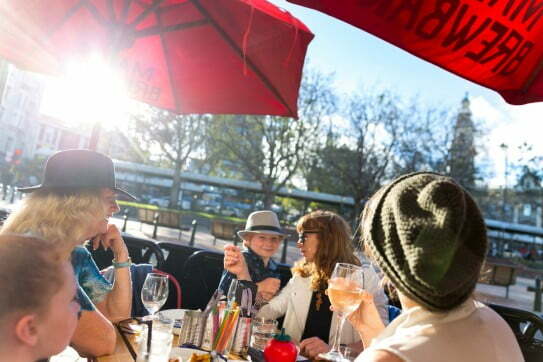 Individuality is highly respected in Dunedin, which means cafés, restaurants, bars and pubs are refreshingly different. Many eating establishments are housed within elegant historic buildings and their menus have as much character as the décor. Likewise you'll discover that Dunedin bars and breweries are one-of-a-kind reflections of the city's intriguing, humour-driven personality. In the city centre, which is redolent with Edwardian character, the best breakfast spots are concentrated between Moray Place and The Octagon, as well as along George Street. First up, how about breakfast? Finding an amazing breakfast, accompanied by perfect espresso, can be your first food mission in Dunedin. 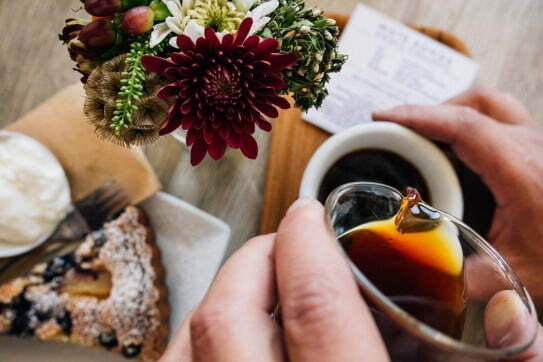 In the city centre, which is redolent with Edwardian character, the best breakfast spots are concentrated between Moray Place and The Octagon, as well as along George Street. Use your smartphone to search 'cafe Dunedin', then follow map directions to find favourites like Capers, the Perc Café and Morning Magpie. You can look forward to menu choices that are pure Dunedin, like porridge with fruit, nuts and maple syrup; the 'miner's special' of pancakes with bacon and gourmet sausages; or free-range local eggs with South Island smoked salmon on a toasted farmers' market bagel. 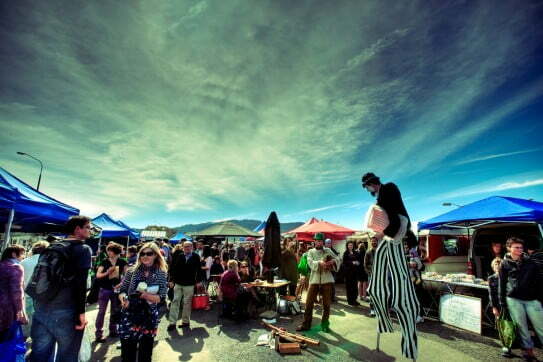 Every Saturday morning the Otago Farmers Market shows off the best of the region's produce. This Dunedin food market has been voted the best in New Zealand, so expect to be impressed. You'll find as many as 70 vendors plying their wares. As well as the usual fruit and vegetables, meat products and cheeses, this market is an outlet for artisan products. Look for Ocho chocolate, a 'bean to bar' fair trade product; Evansdale Cheese, for possibly the best brie you've ever tasted; handmade peanut butter; honey from Central Otago; and Steamer Basin craft beer. 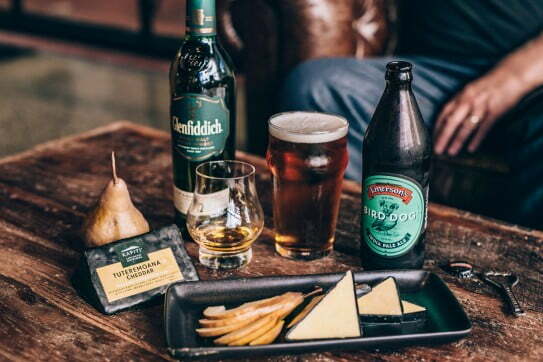 Also, make sure you track down some haggis, because you can't visit Dunedin without trying the Scottish national dish that has been made in the city since the first Scots settlers landed in 1848. If you miss out on haggis at the market, head for Leckies Butchery in Forbury Road. They've been making haggis since 1927. Visiting a Dunedin brewery around midday, when the sun's well and truly over the yardarm, will quickly take care of any thirst issues. If it's somewhere like Emerson's Brewery, you could be here for most of the afternoon. There's a lot to see, sip and eat. In the tasting area of Emerson's Brewery, Dunedin beer drinkers enjoy a choice of at least eight beers on tap. To make sense of all the flavours, you can do a brewery tour first. Bar snacks, sharing plates and a brunch and lunch menu will make sure your beer intake is balanced with tasty food. The latest craft brewery in Dunedin is New New New Corporation. It's in an old, old, old building on Crawford Street and has a wonderful point of difference: a mash filter. If you understand craft beer, you'll know this is special. The taproom at New New New is open on Fridays. While it can't really be called a craft brewery, Speights is a Dunedin beer brand that goes right back to 1876. You can tour the brewery, sample a bunch of great beers and then retire to the Speight's Ale House restaurant for generous helpings of southern hospitality. Ribs, sticky chicken wings, smoked fish cakes, bangers and mash, mussels in white wine cream and lamb shanks are some of the hearty favourites you'll find on the menu. Dunedin has a refined side that comes from being New Zealand's oldest urban centre, and that means some marvellous five-star dining possibilities. In Stuart Street you'll find Two Chefs Bistro, which consistently gets rave reviews from happy foodies. Bacchus on the Octagon is another sublime dining experience - it's been going for a couple of decades and continues to live up to its excellent reputation. When you're wondering where to eat in Dunedin, don't limit yourself to the city. Some of the best restaurants in Dunedin require a short drive or taxi ride. For example, Glenfalloch Restaurant on the Otago Peninsula serves superb food featuring local ingredients within a recognised 'Garden of Significance'. The beachside suburb of St Clair also has a number of excellent eateries, all with refreshing sea views. More casual bars and restaurants are easy to find. Check out Ironic Café & Bar in Anzac Ave - this place regularly picks up awards for its food. Another excellent option is Etrusco at the Savoy, a family-owned Italian restaurant that is much-loved by its followers. For amazing seafood, you can't go past Plato on the harbour front. On the burger front, Good Good is getting a big thumbs up from visiting burger connoisseurs.